The SouthSide Film Festival will once again return to Bethlehem next week for its tenth year. Between the main festival's three locations and the Children's Film Series taking place at Godfrey Daniels, over 100 films will be screened over five days. Everything from animated shorts to documentaries to late-night horror comedies will be on display as the Lehigh Valley's only consecutively-running film festival continues to grow. To help spotlight some of the fantastic films featured this year, we asked each of the festival's organizers for their favorite selection out of this year's line-up. Kathryn De Meglio: I really enjoyed the short student film Statue. It was not only one of the best student films we are showing this year but one of the best short films we are showing period. The characters are easy to relate to and as viewers, we find ourselves deeply invested with just a short amount of time spent with them and their story. Ben Bertalan: Zero Charisma is being called the greatest movie about game-playing geeks. However, you certainly do not have to be a fan of Dungeons & Dragons to enjoy this movie. I laughed throughout the entire film and I have never played D&D. Sam Eidson is perfect as the game master, Scott. The film was the winner of an audience award at SXSW and I think it will be a hit with audiences in the Lehigh Valley as well. Ben Bertalan: Liv & Ingmar - This enthralling documentary is a history of film and the history of a couple. The cinematography of the landscape of Sweden and the amazing archival footage of Liv Ullman and Ingmar Bergman is exquisite. The interviews with Ullman are fantastic. I was just swept away by everything in this film. Jeffrey Riedy: I would have to pick two short films--The Other Side and Seven Minutes in the Warsaw Ghetto. They both involve the divisiveness of a border wall: The Other Side showing the hope and innocence of youth, while Seven Minutes in the Warsaw Ghetto shows the idealistic contrast that can exist, and maybe was at the heart of the construction of the wall. Glenn Koehler: More Than Honey - I chose this film as a 'pick of the fest' as it's one of the most beautifully shot films we're showing this year, in my opinion. In addition to the cinematic aspect of it, the content about the bees themselves is interesting, engaging, and timely considering the widespread press regarding the bee colony collapse issues happening around the world today. Rev. Joel Atkinson: I chose the film Die the Good Death because it showcases an Indian perspective of the inevitability of death and, by contrast, makes a powerful statement about our own concept of mortality. Andrew Atkinson: I chose the film Chiralia. It follows a circuitous journey of interconnected stories that captivate you with their central mystery. Jeff Vaclavik: I chose Dear Mr. Watterson because I love Calvin and Hobbes and dearly miss reading it on a daily basis. Brady Vaclavik (Age 8 and a juror for the Children's Film Series): I picked Extinction of the Saber-Toothed Housecat because it was really funny! 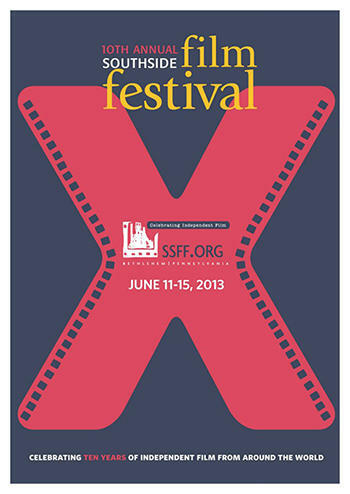 The SouthSide Film Festival runs from Tuesday June 11 through Saturday June 15. For a full list of films at this year's festival and their showtimes, head over to the SSFF website.